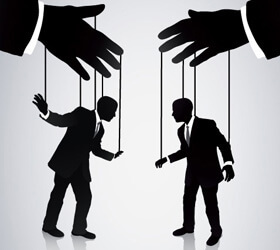 How manipulation detection produces alpha and provides risk mitigation. Without question, big data advancements have altered approaches to stock trading. Social Media has clearly become a game changer for how traders and investors obtain critical information to make better-informed decisions. At the same time, the advent of Social Media has ushered in a new era of stock manipulation methods based off the infamous pump & dump. You see twenty years ago it was boiler rooms, ten years ago it was hired bloggers pushing stocks, and today it's as simple as a $50 piece of software which can mimic thousands of online users simultaneously. "Social media and the Internet in general have become important tools for investors. Investors may use social media to research particular stocks, look up background information on a broker-dealer or investment adviser, find guidance on investing strategies, receive up-to-date news, and discuss the markets with others. One way fraudsters may exploit social media is to engage in a market manipulation, such as spreading false and misleading information about a company to affect the stock’s share price. Wrongdoers may perpetuate stock rumors on social media, as well as on online bulletin boards and in Internet chat rooms." To learn more about Social Media Stock Market Price Manipulation and how HedgeChatter can assist your firm in utilizing the latest social metrics for the markets, simply download the pdf.